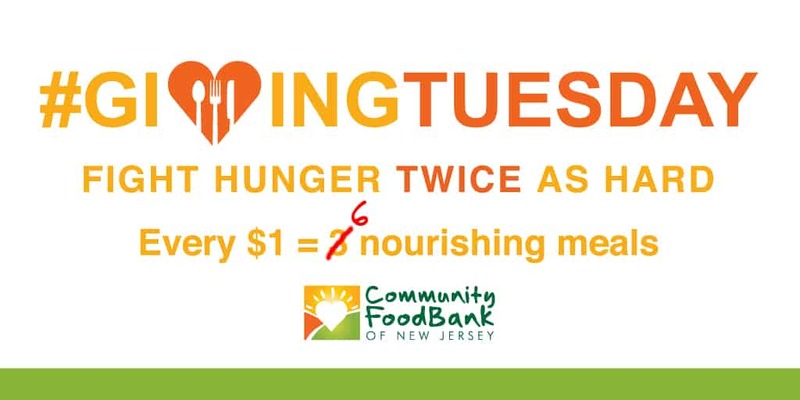 This Giving Tuesday, every donation you make will DOUBLE our power to feed hungry New Jersey families. Thanks to a generous donor, your gift will be matched up to a total of $25,000! This means that every $1 = 6 nourishing meals! Please make a generous gift before the midnight deadline.